MONDAY, Dec. 7, 2015 (HealthDay News) -- Norwegian researchers have linked weight gain during the first year of life to a possible higher risk of type 1 diabetes. The mean weight gain during the first year of life was more than 6 kilograms (about 14 pounds), the study found. And for each additional kilogram (2.2 pounds) of weight gained during the first year of life above the mean, babies had 20 percent greater odds of developing type 1 diabetes by age 9 years, the researchers said. "The findings indicate that the early childhood environment influences the likelihood of developing type 1 diabetes," said lead researcher Maria Magnus, of the Norwegian Institute of Public Health in Oslo. But, the researchers added that early weight gain would be only one of a number of factors that influence the diabetes risk, and they don't advise parents or doctors to attempt to reduce infant growth with the aim of reducing the risk of type 1 diabetes in their child. In addition, Magnus said the connection between weight gain in the first year of life and the increased risk for type 1 diabetes is only an observation. The study doesn't prove a cause-and-effect relationship between early weight gain and type 1 diabetes, the researchers said. And, she added, "there is no simple advice that we can give to parents based on this study." About 5 percent of people with diabetes have type 1 disease, according to the American Diabetes Association. It's an autoimmune disease that causes the body's immune system to mistakenly destroy the beta cells in the pancreas that produce the hormone insulin. Magnus said the environmental risk factors for the disease aren't well understood. In type 1 diabetes, the autoimmune attack leaves the body without the ability to produce insulin. Insulin is essential for breaking down sugars in foods and getting it from the bloodstream into cells, where glucose is the main source of energy. People with type 1 diabetes need to replace the lost insulin, usually through multiple injections every day. The study authors speculated that the extra stress put on pancreatic beta cells to make more insulin to balance the weight gain may damage them. The increased risk might also be caused by changes in the bacteria in the gut, they suggested. Still, "it is too early to change any practice, for instance regarding infant feeding, because of these findings," Magnus said. At best, early weight gain would be only one among a number of factors that influence the risk of type 1 diabetes, and any such action may have potential side effects, she said. "After all, the absolute risk of developing type 1 diabetes for a child is relatively modest, and any potential influence of weight gain is likely to be of limited magnitude for most individuals," Magnus said. The report was published in the Dec. 7 online issue of JAMA Pediatrics. For the study, Magnus and colleagues collected data on almost 100,000 children born between February 1998 and July 2009. The children were part of the Norwegian Mother and Child Cohort Study and the Danish National Birth Cohort. The average age of children at the end of follow-up was nearly 9 years in the children from Norway and 13 years in children from Denmark. Only 146 of the Norwegian children, and 121 of the Danish children developed type 1 diabetes during the study, according to the report. 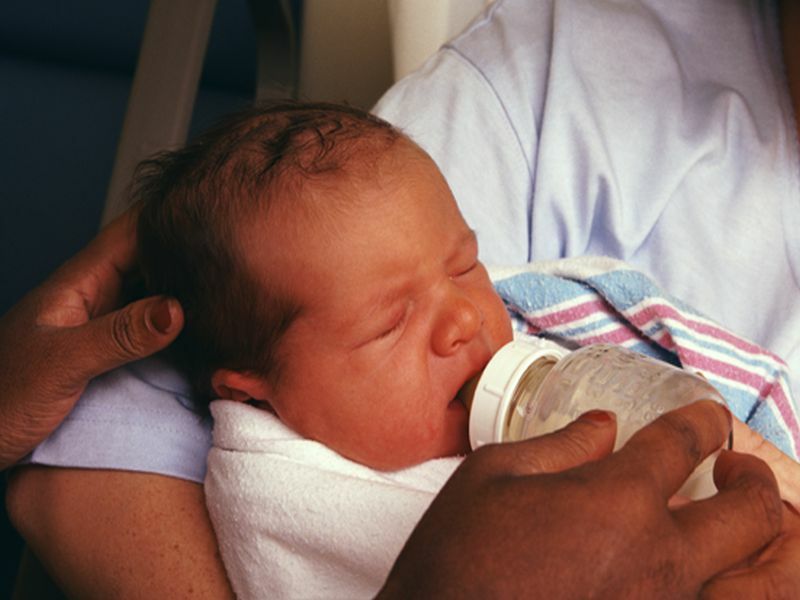 Dr. Joshua Tarkoff, a pediatric endocrinologist at Nicklaus Children's Hospital in Miami, said, "Doctors should keep an eye on early weight gain in infants." Tarkoff pointed out that parents and doctors are usually concerned that babies gain enough weight during the first year of life. "We are pretty good at making sure kids gain an adequate amount of weight, but we should also make sure that our babies are receiving adequate nutrition and not gaining too much weight," he said. Whether the link to type 1 diabetes and early weight gain is the same in the United States as it is in Norway and Denmark is unknown, Tarkoff said. However, parents should ensure that their babies are at a healthy weight, he suggested. "We don't want any baby to be too small, but we know the dangers of being too big -- including diabetes," he said.